Home > Blog > Nutrition > Fruits For Dogs: Research Says Feed Them! But it doesn’t matter if you feed raw, kibble or otherwise … fruits have the ability to change your dog’s life … in a very good way. In the late 1900s, scientists noticed that eating diets rich in fruits and vegetables protected people from cancers, heart disease, diabetes and more. Today, they know those health benefits come from polyphenols. If you’re not adding fruits, vegetables, herbs and seeds to your dog’s diet, he’ll miss out on some significant disease-fighting benefits. Polyphenols are naturally occurring compounds that come only from fruit and plants. Your dog can’t actually digest polyphenols … but they travel to his colon, where trillions of friendly little bacteria that live there eat the polyphenols and produce healthy by-products like phenyl valerolactone, hydroxyphenyl acetic acid and hydroxyphenyl propionic acid. Polyphenols can be found in some spices, herbs, nuts, vegetables and especially in fruits. On the whole, fruits like apples, pears and berries contain about 200 to 300 mg of polyphenols per 100 grams of fresh fruit. Polyphenols, like those in fruit and berries, can inhibit cells that cause DNA methylation, which is a major mechanism of cancer. They can also reactivate silenced genes in cancer cells and cause their death. Both in vitro and in vivo studies show polyphenols reduce the risk of cancer. A study on rats showed that another polyphenol, resveratrol, reduced bacteria activity that’s been linked to colon cancer. Polyphenols can also control cell growth and division (and cancer forms when cells divide uncontrollably). [RELATED] Our dogs are getting cancer at an alarming rate. How can we prevent it? Fight back with these 3 herbs. Inflammation is a natural part of the body’s defense system. If your dog is sick or hurt, acute inflammation delivers immune cells to the affected area to fight disease and repair damaged tissues. Inflammation is helpful … but only if it’s short term and resolves quickly. If acute inflammation continues and develops into chronic inflammation, it ends up as one of the chronic diseases dogs deal with today. Cancer, allergies, heart disease, joint disease, diabetes, autoimmune diseases … they’re all the result of chronic inflammation. In a 2014 study, researchers fed three groups of rats either rat chow, a high fat, high sugar diet, and the same high fat, high sugar diet with some cranberry juice for 2 months. And when they looked at the rats’ livers, they found the ones fed the cranberry juice had far fewer inflammatory markers. That’s because polyphenols suppress inflammatory enzymes and pro-inflammatory immune cells called cytokines. Free radicals are another important cause of inflammation. Free radicals come from toxins in your dog’s environment and food, and even just from living and breathing. Ultimately, they come from oxygen. Oxygen has two unpaired electrons and this makes the oxygen molecule really reactive … and this unstable molecule is called a free radical. Electrons like to be paired, so free radicals steal electrons from their neighbors. This stable molecule then become unstable too and becomes a brand new free radical. Billions of these molecules can react every second and this damages all of the neighboring molecules. It’s especially harmful to cell membranes. Free radicals build up like rust in the body and cause chronic inflammation and ultimately chronic disease and premature aging. Antioxidants fight free radicals. They work together to donate an electron to the free radical without becoming free radicals themselves. Polyphenols like curcumin and resveratrol are potent free radical scavengers and help combat oxidative stress. Sometimes polyphenols can be pro-oxidant and cause the same damage that free radicals do. But their free radicals only seem to target cancer cells. Polyphenols pump toxic amounts of free radicals into cancer cells and kill them. Think of feeding polyphenols and fruits as making deposits into your dog’s bank account. Environmental toxins, stress, poor diet and even living and breathing will all make withdrawals from your dog’s antioxidant account. Polyphenols are the deposits your dog’s health account needs to stay balanced and healthy. When you feed your dog a meal, you’re not just feeding your dog … you’re also feeding the few trillion bacteria that live in his gut. Some foods, like protein and healthy fats, have important responsibilities. They feed friendly bacteria that produce your dog’s vitamins, protect his gut lining and even help modulate his immune system. Toxins and starch in the diet can feed bacteria that produce inflammatory by-products. A good healthy population of friendly bacteria will crowd them out by competing for receptor sites in the intestines. A polyphenol called lignan feeds bacteria in the gut that are associated with fewer tumors and more tumor cell killing activity. Polyphenols feed the friendly bacteria in your dog’s gut. They also bind to receptor sites on harmful bacteria and interfere with their activity and growth. One polyphenol, catechin, stops the growth of E. coli, Bordetella bronchiseptica (the bacteria that cause kennel cough) and Salmonella. And quercetin, another polyphenol, can also stop E. coli from growing. And a study from 2016 shows that a polyphenol called lignan feeds bacteria in the gut that are associated with fewer tumors and more tumor cell killing activity. [RELATED] Your dog’s gut plays an incredibly important role in overall health. Here’s why you need to keep it healthy. The liver is one of the most critical organs in your dog’s body. It produces his nutrients and it takes the toxins in your dog’s food and environment and processes them so they can be pushed out of the body. But some toxins, especially fat-soluble toxins, are harder for the liver to metabolize and they cling to the liver cells. These toxins build up over time, causing a large number of toxins and free radicals to build up in the liver. Polyphenols can activate phase 1 and phase 2 enzymes in the liver. Phase 1 is the first step in defending the liver from toxins. Phase 1 enzymes help neutralize toxins by converting them into less harmful molecules. But these molecules can still be harmful to the body … so phase 2 enzymes take those byproducts and make them water soluble so they can easily exit the body. [RELATED] There are lots of ways to protect your dog’s liver. Check this out. Today’s world is toxic. Your dog’s environment is toxic. His food contains pesticides and other toxins. Chemicals, drugs, vaccines, cleaners … these toxins all build up in your dog and cause chronic health problems. Unless you actively fight that damage. Fruits, veggies, seeds and herbs can, and should, be an important part of your dog’s diet. Even wolves scour their environment for fruits and veggies. In the summer months, up to 25% of their stomach contents is fruit and other plant matter. Are you ready to add more fruit and other plant matter to your dog’s diet? 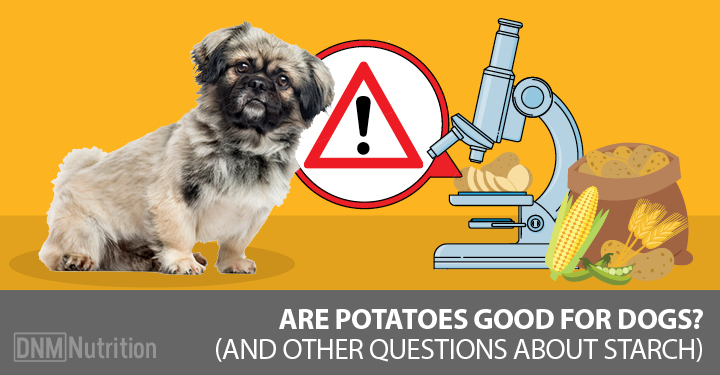 If so, let’s talk about some of the most common and important polyphenols for your dog. Each of these classes has subclasses, the largest of which is flavonoids with over 5,000 different compounds. Flavonoids are anti-inflammatory and there’s evidence showing they have anti-cancer properties and can improve cognitive function. Phenolic acids are found in the seeds and skin of fruits and in vegetables. Phenolic acids love to scavenge free radicals. One of the most notable phenolic acids is curcumin, which is found in turmeric. Curcumin disrupts cytokine activity, which decreases chronic inflammation. 5% to 50% of valuable vitamins are lost when fruits and veggies are cooked. Lignans are found in apricots, broccoli and leafy greens, and flax seeds are a very rich source. They play a role in hormone-associated cancers and they can also be antioxidants. Stilbenes include resveratrol, which is found in blueberries, raspberries, mulberries and peanuts. Resveratrol is anti-inflammatory and can fight cancer. So if you’re not adding fruits, vegetables, herbs and seeds to your dog’s diet, he’ll miss out on some significant disease-fighting benefits. Research shows there’s definite value in adding these tiny but powerful nutrients to his diet. Heating and processing food reduces its nutrition. Heating changes molecules and 5% to 50% of valuable vitamins are lost when fruits and veggies are cooked. Scientists have found that cooking fruits and vegetables destroys much of the polyphenols. Boiling foods can remove half their polyphenols while steaming can cause a 20% loss. And the free radical scavenging activity was also decreased by 60% with boiling and 30% with steaming. So make sure you feed your dog some fruits and veggies. [RELATED] There are many fruits and veggies that help fight disease. Find 10 of the best right here.